This is basically a Nickelodeon show featuring ex-Nick stars in Nick situations and scripting. 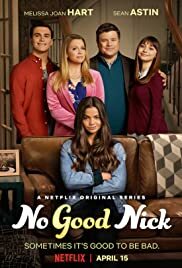 Sean Astin, Melissa Joan Hart, and Ted McGinley are wonderful, but the rest of the cast is borderline. Honestly, the idea of the show is wonderful and would've made a great 2-hour film or more 'adult' series - but in this setting, it's hard to take it serious with all of the teen jokes and Nick-typical acting overshadowing the main plots. One standout is the son, Kalama Epstein, whose acting is superior to the rest of the teens. I will keep watching to see if it grows further, but it needs to improve greatly to match up to the adult stars.